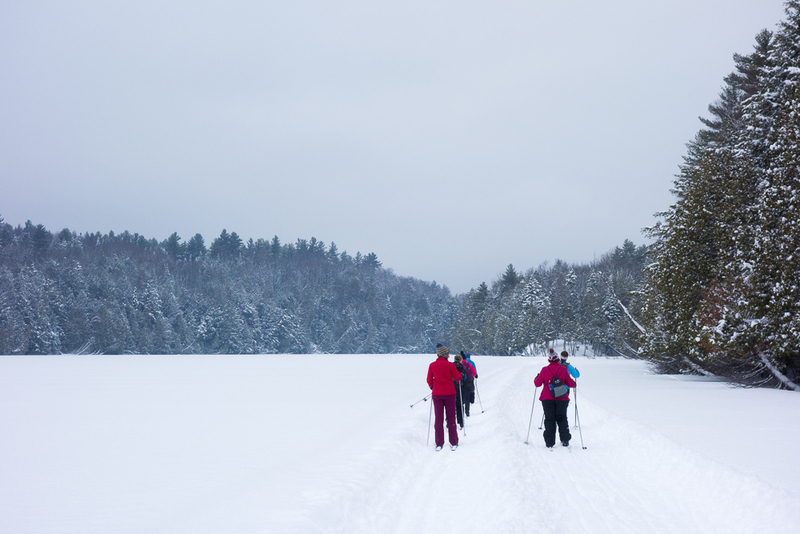 For my February OWA outing, I wanted to check out the Craftsbury Outdoor Center‘s cross country ski trails. 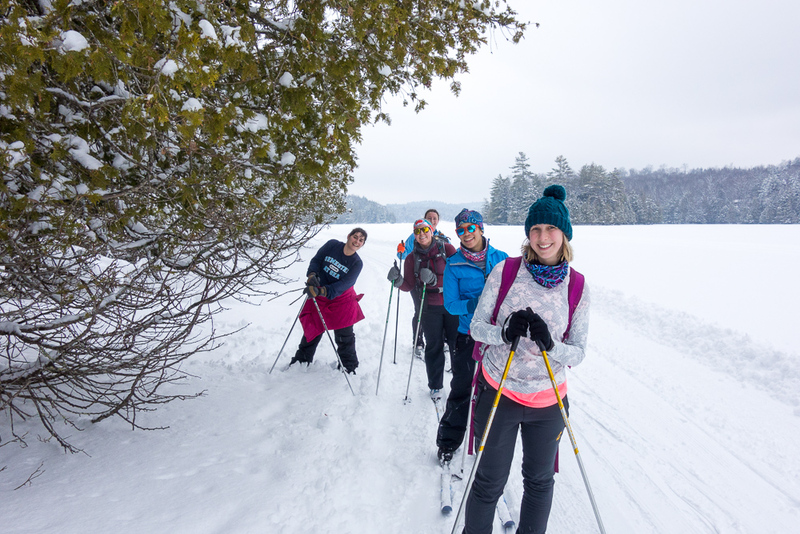 They have 65 miles of groomed trails and yet it’s only $10 for a day pass. 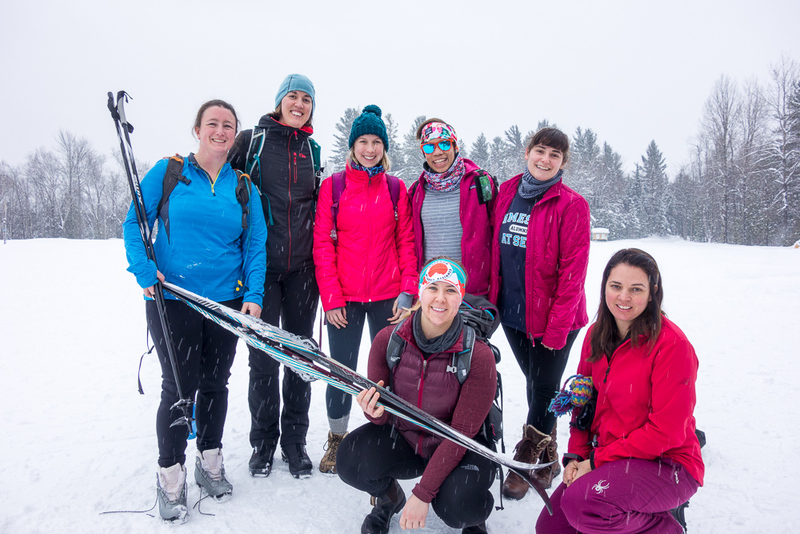 I’d heard how wonderful the trails there were (admittedly from a local, and people are very loyal in Vermont), and I’d been meaning to try it out for a while, especially since they have plenty of easy and intermediate trails available. Seven of us met up at the touring center to get geared up and then we headed out on the trail. 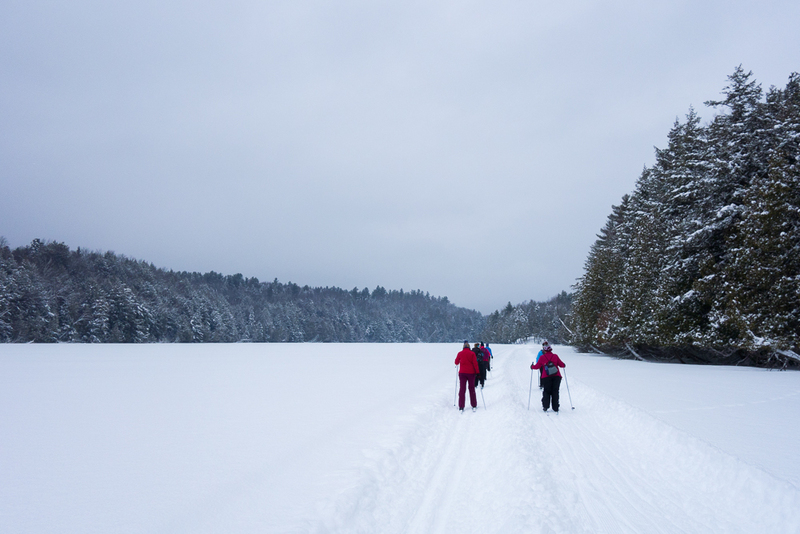 We chose Great Hosmer Pond to start since it appeared to be the biggest easy loop at 4.8 miles. 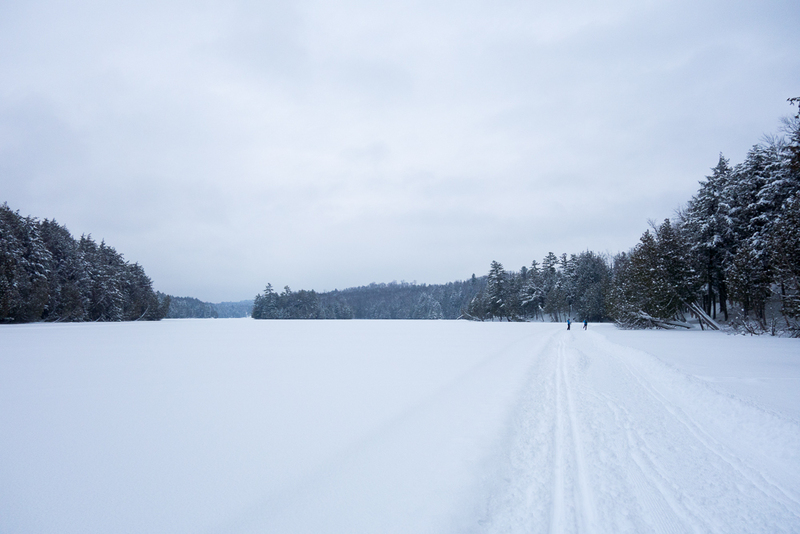 It was, in fact, a groomed trail around the edges of a large frozen pond, although big enough that I’d call it a lake. The snow was a little sticky for some people’s skis since it was kind of warm out (right around freezing), but I wasn’t having too much trouble. The loop was completely flat, so although it was good practice for skiing in general, it wasn’t really helping me improve on hills or turns, which I do need to work on. On the way back to the touring center, we decided to go up and down an easier hill a few times. I still fell on the turn, but I’m getting a little better. We had a blast and I definitely want to come back here soon. There are so many more trails to explore and I need to get out on the intermediate ones.